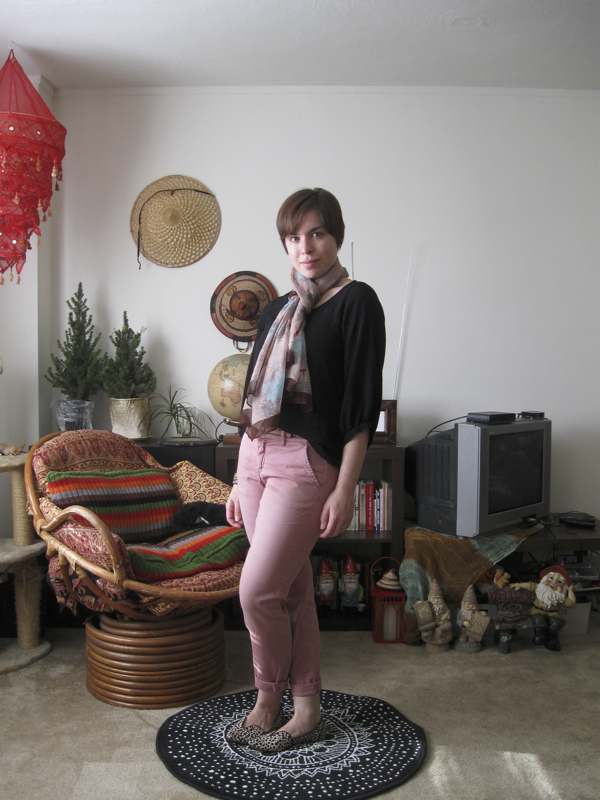 These are my new favorite pants - I want to wear them every day! I hate that winter signifies the end of color for most clothing brands... if anything we should be wearing bright colors to cheer up these dreary winter months! Our store has been getting a lot of the spring merchandise in over the past two weeks and these chinos caught my eye; they come in two other colors: army green, and khaki with blue striped accents (oh, and apparently orange now too!). I had a hard time deciding between the three, but ultimately I think I made the right choice. 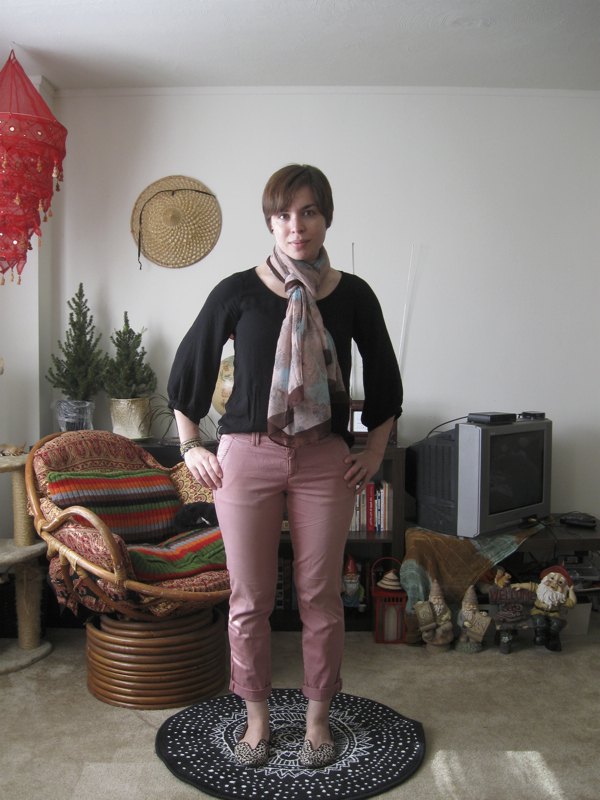 Over the past year or so my wardrobe has gotten considerably more... pink. I don't know where all this pink love is coming from! But I'm embracing it. I love that this is a soft pink though, in a silhouette that isn't overly feminine. It makes it easy to jazz it up with other feminine accents! How are you brightening up these last (predicted) six weeks of winter?